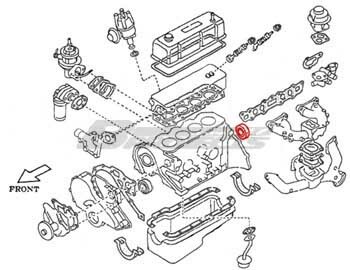 Crankshaft Rear Oil-Seal - Specialized shop for Datsun 1200. Available to A series engine. x1 Crankshaft rear oil seal. Available to Datsun ALL A Series Engines.A10/A12/A13/A14/A15. Usually "Crankshaft Rear Oil Seal" has compatibility for each A series. This is a correct genuine parts of the made in Japan.